Founded 17 years ago on Christian principles, Trinity Financial Mission was created with the intent to not just help others resolve their financial problems but to help in relieving the emotional burdens that come with excessive debt. With the help of bankruptcy attorneys, CPAs, and financial planning professionals, Trinity Financial Mission aims to guide those who are struggling with debt to the financial freedom they seek. What sets this company’s programs apart is the ability to authorize non-profit service providers to work on behalf of each client. Because they take this approach, fees are typically nominal and assessed according to the financial situation of the client, or so they claim although we were left a little confused by their $10,000 minimum unsecured debt enrollment amount if they claim to work with non-profit affiliates. During the initial consultation they claim to go over individual finances, the total debt amount and to discuss payment plans and options including whether do-it-yourself, consolidation, a debt management plan or settlement is the best plan. Interested parties can either fill out an online form on the website to express interest in a free consultation with one of the company’s debt experts or they can call in and request more information and set up a consultation over the phone. One of our biggest concerns is their lack of fee structure or company transparency altogether. They say they help Christians, but we are unable to discern if they can really help anyone at all. The company has various reviews around the web, although we were unable to find any updated information pertaining to customer satisfaction or even what this company is all about. It seems any information ceases to exist after 2010. Another concern is their lack of an escrow account or policy. While this can make clients feel a little more independent with their finances, it seems a dedicated account to save funds toward negotiation is the safest method for those with outstanding debts—especially under the requirement of $10,000 or more to be enrolled into their program. The company claims to handle debt settlement along with debt consolidation, although their website has very little information pertaining to their settlement services and seem to be strictly focused on debt consolidation. They do not offer an online dashboard allowing clients the ability to keep track of applicable information with their account. In addition, they hold no AFCC or IAPDA accreditation. Trinity Financial Mission is one of those companies who completely lack transparency. Their fees are unclear and customer service has been unhelpful by being unresponsive to our inquiries. Overall we do not recommend using Trinity Financial Mission for any debt settlement needs. There are other accredited companies that offer cheaper services and better customer service. Price will vary depending on individual circumstance. The initial consultation meeting should provide an estimate of costs per month and overall. No upfront fees are required for debt settlement services. A free initial consultation is offered to go over individual finances, the total debt amount and to discuss payment plans and options including whether do-it-yourself, consolidation, a debt management plan or settlement is the best plan. Interested parties can either fill out an online form on the website to express interest in a free consultation with one of the company’s debt experts or they can call in and request more information and set up a consultation over the phone. Founded in 1998, Trinity Financial Mission has been in business for 17 years. This company offers coaching services, debt management programs, resolution programs and debt counseling along with their actual debt consolidation or debt settlement services. They also keep their site updated with blog posts, relevant articles and tips and quotes for encouragement and insight on getting and staying out of debt. Their Facebook page provides much of the same and debt counselors are available for follow up calls and continued assistance. The site and website mention nothing in regards to a cancellation policy or any type of guarantee. This would likely need to be asked of a representative of specialist that works for the company which will require calling the customer service line and hopefully hearing back within a 24 hour period. They work with unsecured loans. No. They do not have a mobile app or a mobile-friendly website. While you can see the site on mobile, it is not easy to use. Trinity Financial Mission offers debt settlement services and debt consolidation depending on individual needs and goals. A minimum total debt of 10,000 is required for acceptance into any of the Trinity Financial Mission programs. 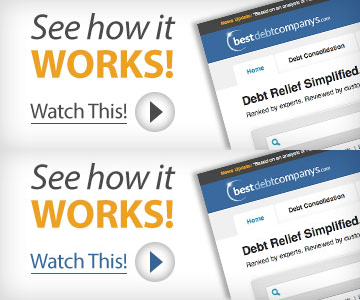 No, there is no online dashboard for clients who are in the debt settlement program. There is a dashboard for those who do the credit counseling program though. No, they do not have accreditation by the AFCC or IAPDA. By submitting this form, I consent to receive calls using automated technology from Trinity Financial Mission at the number provided and understand this is not a condition of purchase.